I have one word for this restauant: amazing. 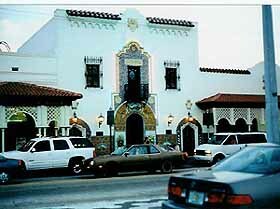 Located in historic Ybor City, Tampa, the Columbia Restaurant is an upscale Cuban restaurant that has been around since 1905. This place is extrememly historical- asign on the street outside of the restaurants explains that Teddy Roosevelt and his Rough Riders let their horse drink at that location. Complete with plants, a gorgeous fountain, and frequent flamenco dancers, the Columbia Restaurant is truly unique. I had a steak and my companion had a chicken- both were covered with peas, a Cuban staple, and were complete with delicious spices and herbs. Columbia Restaurant is not cheap because it is upscale, but you will truly get what you pay for. 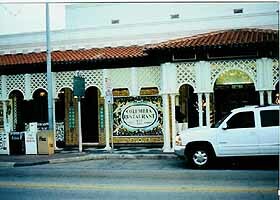 The original restaurant is located in Ybor City, Tampa, and it is the one I visited, but there are now several locations in Florida. 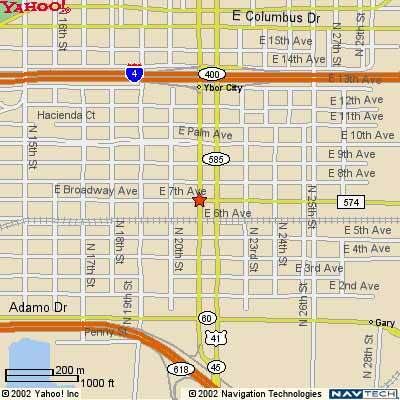 The map is for the Tampa location, but you can click the link below for other locations and more information about the restaurant. East 7th Ave. & 21st St.